Dublin dentist, James Huang, offers comprehensive general dentistry services. 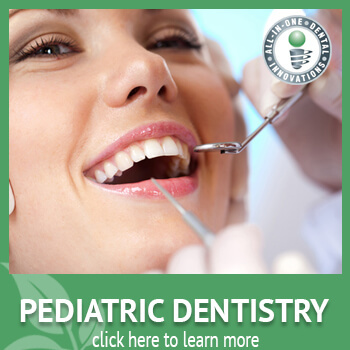 General dentistry procedures include very commonly performed dental services. Root canals, dentures, fillings, and x-rays are some of the general dentistry services that All In One Dental offers. 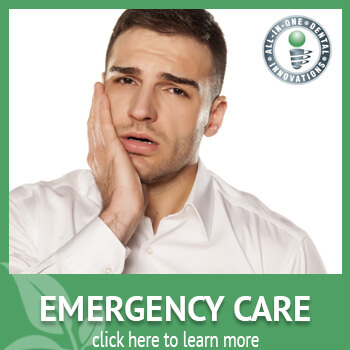 These general procedures aim to prevent or fix the most common of dental concerns. When a root canal, fillings or dentures are needed, you always want to make sure that your oral care is performed by the best dentist in Dublin, CA. Dr. Haung’s gentle touch and professional expertise come highly rated by his patients. Our staff always makes sure to make your comfort and ease the main priority; we want you to keep that smile healthy and sparkling without the worry of discomfort that sometimes concerns our new patients. 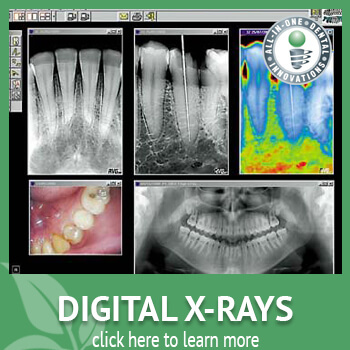 Our highly precise digital x-rays are a general procedure that should be performed regularly and if we find that a filling is required, Dr. Haung performs impeccable work that lasts. With us, you can rest assured that your comfort comes number one alongside great healthcare! When our patients hear that a root canal is needed to protect their teeth from further (often serious) damage, it can sound a little scary. We know root canals can be frequently associated with pain, but this isn’t always the case! 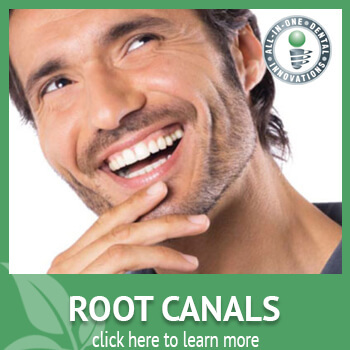 Many patients undergo root canal treatment with no pain at all. The severity of the problem (as well as other individual factors) can often determine the extent of pain that may be involved. Your dentist will be able to give you an honest prediction of the likelihood of discomfort. When pain is unavoidable, the careful expertise of an excellent dentist like Dr. Haung can make all the difference in the world. With Dr. Haung’s skilled and careful hand, the pain will always be eliminated or reduced to a minimum. Root canals become necessary when the pulp of the tooth becomes infected. The pulp (or “roots”) of the tooth are located at the core of the tooth and is protected by dentin and enamel. It consists of connective tissue made up of nerve endings and blood vessels. When regular tooth decay is not taken care of quickly enough, that decay can spread to the pulp of the tooth and at this point, a root canal is needed to ensure that you do not lose the tooth or begin to experience excessive pain from the infected dental pulp. The procedure consists of the removal of the dental pulp, the cleaning of the inside of the tooth and finally, a refilling of the space. Sometimes crowns are added as a final touch to make sure the tooth remains well-protected. Tooth loss is, unfortunately, a very common concern; especially as we get older and teeth have accumulated years of exposure to sugary and acidic foods and drinks as well as possible decay and dental treatments (or lack thereof). If you reach a point where your natural teeth cause you suffering or begin to impede on important activities like eating or talking, it may be time for a partial or full set of dentures. 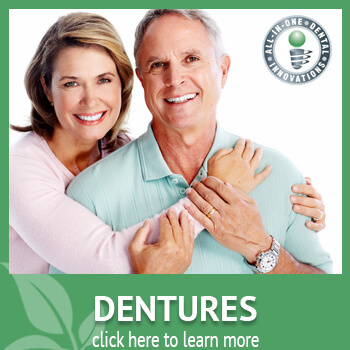 For those who need them, dentures can offer an incredible life improvement. Dentures can eliminate pain or pressure caused by excessive oral problems, improve your everyday life in terms of eating and speaking, and boost general appearance. With today’s fantastic oral health technology and the skilled dentistry of Dr. Haung, dentures can offer a new and beautifully natural-looking smile that fits perfectly and feels great. There are a few different types of dentures that can be chosen based on individual circumstances and needs. The type of denture that is best for you will be chosen by you and your dentist and can differ by details such as size, cost, and method of securing the denture in place. The type of denture needed is determined by the number of teeth that require removal and the health of the surrounding bones and soft tissue of the mouth. Dr. Huang will explain what will work best for you and why. We aim to keep our patients well informed of any procedure we perform. We not only want you to understand what you may need and why, but we also want to make sure that you go home knowing how to care for your new dentures. Denture removal will differ based on the type of denture and we will always make sure you understand how to comfortably remove and re-secure new dentures back into place and how to continue to keep them clean. Fillings are an extremely common way to restore a tooth that has been affected by many types of damage including chips, cracks, or cavities due to decay. 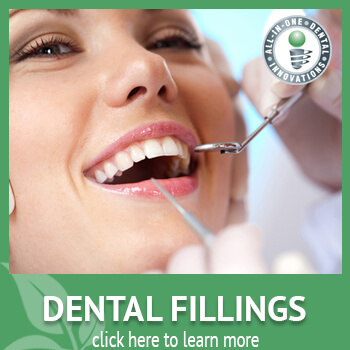 Fillings can also be used in cosmetic procedures to fix uneven teeth or gaps. Types of fillings differ by the material they are composed of and the best type for your individual needs will be discussed with you by your dentist. Filling material may consist of gold, silver, plastic composite resins, or porcelain. When fillings are needed in a visible area of the teeth, your filling will always be expertly color-matched to blend in perfectly with the natural color of your teeth. With precise shaping and buffing by Dr. Haung, your filling will be comfortable and indiscernible. Although fillings are sometimes requested by patients for cosmetic purposes (and can certainly be great for improving oral appearance in some cases), sometimes fillings are necessary to maintain oral health and even help to ensure that you always keep your natural teeth. In cases of decay or chips and cracks that can make a tooth especially vulnerable to decay, fillings can be used to fill in and seal these types of damage. As with any sort of health concern, early detection of the need for a filling is always ideal. Cavities can happen to those with even the best oral hygiene routines which is why routine dental exams can make sure that problems are found early and fixed with quality dental work. Dr. Haung can perform most filling work in one visit and will provide you with solutions that last. The taking of x-ray images (radiography) has always been a widely useful tool for detecting issues within some portions of the mouth and each tooth as a whole. Digital radiography is a somewhat recent way to diagnose issues and concerns in terms of widespread use in oral health care. Digital x-rays do not use film as with traditional x-rays, but can instead provide a digital image that can be viewed on a computer. It is easy to see how this advancement in radiography is of great use to your dentist when you think in terms of traditional photographs compared to newer, digital photographs. When holding a traditional photograph in your hands, what you see is what you get; the size and clarity of the image can obviously not be changed once the photo has been printed. However, with digital photographs and x-rays, the image is viewed by the dentist on a computer screen. These images can not only be zoomed in on to view small areas closely but can also be digitally enhanced to adjust for any blurring. These digital benefits result in very large, clear images that can reveal the smallest of cavities, hairline cracks in the teeth and much more. Different types of oral x-rays can be taken depending on what Dr. Haung is looking for or where it might be located in the mouth. The difference between x-rays in terms of the patients’ experience will merely differ by placement of the image capture device. While all x-rays expose the patient to some radiation, digital x-rays are much safer than traditional as they reduce the radiation exposure by a substantial 90%!